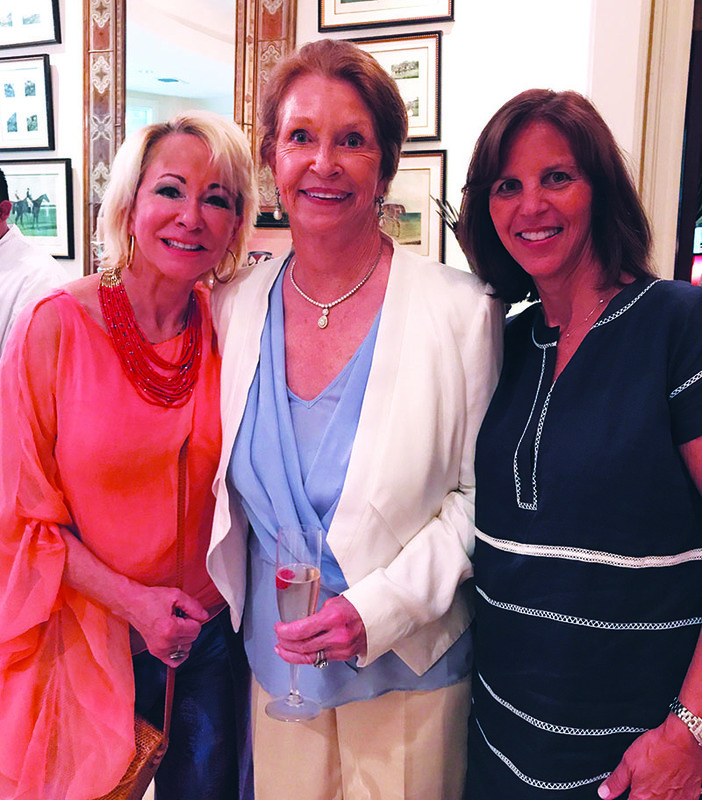 Friends from many areas of her life joined bejeweled Carol Hunton for an afternoon spring party at her home. Bike cabs with handsome young men shuttled guests from their cars. Topics among the smartly attired ladies included fox hunting, polo matches and Colorado trips. One dapper man, R. O. Hunton, wandered into his wife’s soiree, circulating with a chic hat among Merrill Hafner, Sandra Chunn, Omana Abraham, Beverly Bentley, Darlene Bisso, Donna Davis, Mady Kades, Leewood Woodell, Mimi Levine, MaryAnn McKeithan, Joanne Naponic, Dotty Tompkins, Marla Feldman, Annette Gemp, Charlie Geiss, Barbara Van Postman, Grace Kelly, Suzette Kelly, Janice Hall, Donna Davis and Danya Bogart. Champagne was passed, and the tea sandwiches and crab and shrimp bites were declared divine. PARTY IN THE DAYTIME The rain held off for Carol Hunton’s spring party. 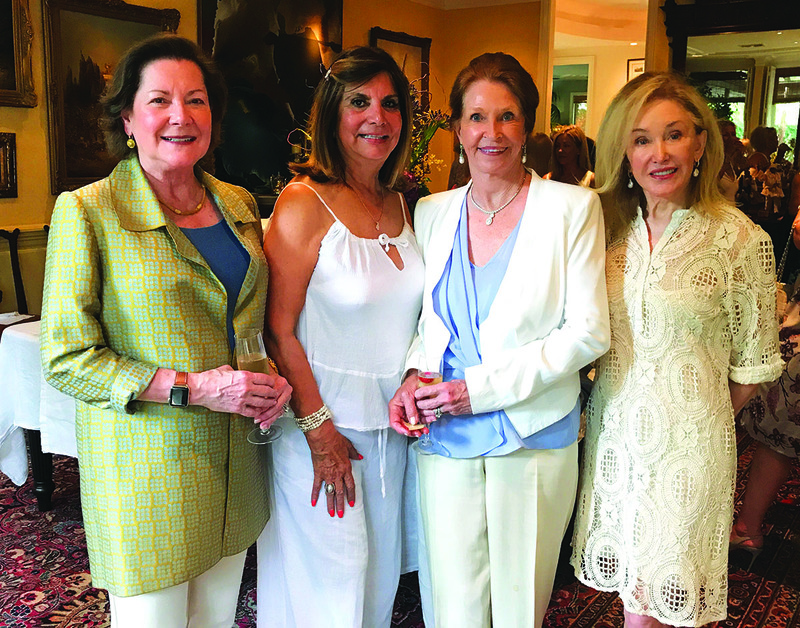 Among the gal pals celebrating were (from left) Merrill Hafner, Joanne Naponic, Hunton and Sandra Chunn. PARTY ALL DAY Annette Gemp, Carol Hunton and Marla Feldman (from left) caught up during an afternoon party at Carol’s home.